Roger S. Munger was born in North Madison, Connecticut, in 1830 and married Olive Gray in Maine in 1858. A year before he wed he and his brothers Russell and William opened a music store in St. Paul and performed as The Munger Brothers Orchestra. Munger became an early Duluth pioneer, his family being the twelfth to settle in Duluth Township. 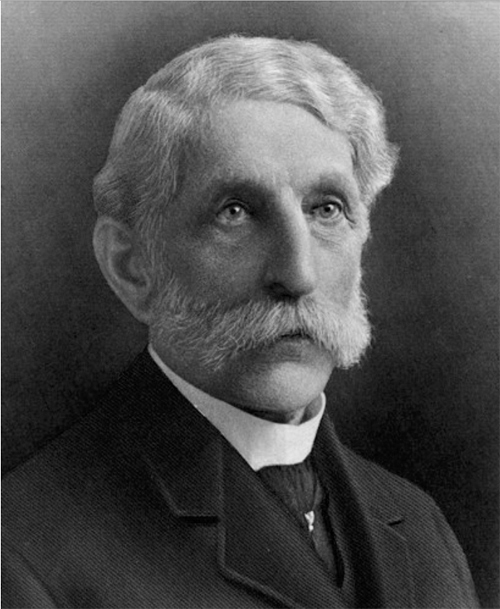 Partnering with other Duluth settlers, Munger built the first flour mill, first coal dock, first sawmill, first opera house, and served on the first board of trade, first school board, and first city council. 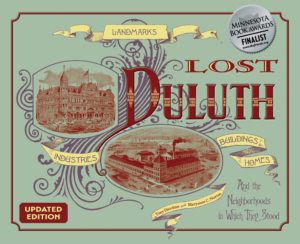 He would later become president of Duluth’s Imperial Mill and the Duluth Iron & Steel Company. Munger also took charge of a task that changed Duluth forever, the 1870–1871 digging of the Duluth Ship Canal. Although Munger himself hired the W. W. Williams & Co. and their dredging tug Ishpeming in September, 1870, years later he would perpetuate the false legend that Duluth citizens dug the canal by hand. Munger’s brother Gilbert was a noted painter; his 1871 depiction of Duluth hangs in the Duluth Public Library’s North Shore room. Olive Munger died in 1894 and Roger Munger left the house in 1899. He lived for another fourteen years.